What are the steps to selling my house to you? How long will it take for you to close the transaction? 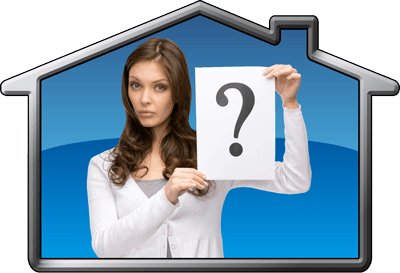 Am I under any obligation to sell to you if I schedule the Free In-Home Consultation? How do you determine the final sales price? When you say you pay with CASH, do you actually show up with a briefcase full of cash? What are all the costs for me to sell my home to you? What if I am behind in my mortgage payments? How are you able to pay so much more for the house than what those typical “We Buy Houses” real estate investors are willing to pay? Can you still buy my house if it is currently listed for sale with a real estate agent? My home is a wreck; it needs carpet, paint, a new AC and etc. Would you still be interested in buying this type of a home? I live out of state, will I have to fly back to close the home's sale? Why don't I just use a Real Estate Agent? I am actually in foreclosure, and there is an auction date already scheduled, can you close quickly enough to stop it? Why should I even bother selling my home? I am behind in my mortgage payments and my credit is already bad. Why shouldn't I just give my house back to the bank through foreclosure? How soon will I have to move out of my home? What if my house is currently rented out, would you still want to buy it? Just like if you were to sell your house through a Real Estate Agent, when you opt for The Finally Sold Way™, you will get the proceeds from the sale as soon as the house closes escrow at the Title Company or Attorney's Office. Your funds are as safe as possible, because we only use Top Rated and Government Regulated Title and Escrow Companies. Pick up the check in person from the Escrow Agent once the property's sale has been recorded at the county recorder's office. Have the Escrow Agent wire the sales proceeds to your bank account once the property has closed escrow. Have the Escrow Agent mail you the check once the property has closed escrow. Well, how quickly can you pack your bags, because we typically can close in just 10 days? 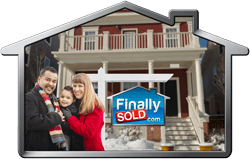 And if you are in a super rush, we can place your home on our Accelerated Fast Track ProgramTM and get your home closed in as little as just THREE business days. However, in ALL cases, we always let YOU pick the closing date. Whether it is 3 days, or even 6 months from now, YOU get to decide when you want to close the deal. See our Sell Your House Fast page for even more details. No, there is absolutely no obligation. Once we come out to see your home, we will make you an offer within 24 hours (but in most cases, we do it right there on the spot). In all instances, you are free to either accept or reject it. There is never any charge for us to come out to see your property. When we say our motto is... "If you can't walk away happy from the sale, then we don't want to buy it," we really mean it. Our field consultant will sit down with you and go over our top dollar buying formula in a simple and easy to understand manner. Together, you will both fill out the offer sheet so that you can see with your own eyes how we arrived at the generous offering price for your home. We base all of our offers on the current market value of the home. Just like what a Real Estate Agent would do, we take into account all of the recent sold, pending and active homes in your area and we come up with a fair starting point value to base the offer on. Our motto has always been... "If you can't walk away happy from the sale, then we don't want to buy it." We rarely find a property that we can't make a suitable offer for. No. Paying with CASH is more of a saying. It implies that we are not making the sale contingent upon a loan and that the funds are readily accessible. In essence, it is as simple as wiring the funds on the closing day from our bank account to the escrow company's bank account. There are NO costs to sell to us. Unlike when you use a middleman like a Real Estate Agent, who would charge you a large commission, we are the actual House Buyer. 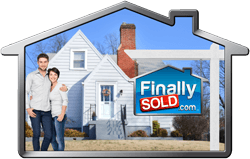 So, by selling your home directly to us, there are no fees to use our home buying services. We will even pay for ALL of the closing costs. That's no problem at all. The closing agent will just order a total payoff from your lender(s) and then they can use the proceeds from the sale to take care of any outstanding back payments. Even if you are in foreclosure, we can still help. But if you find yourself behind in your mortgage payments, time is of the essence. 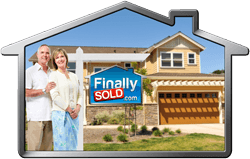 The sooner you start the home selling process with us, the better the end result will be for you. Now is not the time for any hesitation or delay. Call us today at (844) NOW-SOLD, or fill out this short form on-line. Simply put, we are the actual end home buyer. You see, most of those other real estate investors need to buy your home at a much larger discount because they are smaller companies, and they can't afford to hang on to them. In many cases, they are just going to assign or resell it instead to a company like us that pays top dollar. Either way, we will most likely wind up getting the house. But when you sell direct to us, you can avoid the middleman and get paid the highest price possible. Yes, absolutely! However, a commission may still need to be paid to your Real Estate Agent. It all depends upon the situation. And many times, once the Real Estate Agent speaks to us about the situation, they are willing to cancel the listing agreement to help you make the sale. But the final decision is still up the Real Estate Agent. Hopefully, you picked a very empathetic one to represent you. We get this response a lot. Some people just think that no one will buy their home until it is in tip-top shape. Well, at least that is what the Real Estate Agents will tell you. And actually, they are partially right if you wanted to sell it to an end user retail home buyer. However, we are Professional Home Buyers and believe us; we aren't scared off by anything cosmetic or even structural. You probably wouldn't believe the horrific condition of some of the houses that we have bought in the past. We accept the good, the bad, or the horrible. We take them all! Thankfully there are companies like FedEx or USPS. Our closing agents do NOT require you to be physically present to sell your home. All you will need to do is sign a few forms in front of a notary for a few minutes. And then insert the notarized and signed papers in a pre-paid envelope, and drop it off at any FedEx or post office. 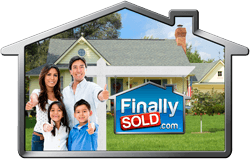 We will make it quite painless for you to sell your house to us. Well, do you really want many nosy people traipsing through your home, usually at inconvenient times (i.e. like at dinner time, when you have company over, when the house is cluttered, when the kids are taking a nap, and etc.)? By selling your home to us, you can avoid the hassles and stress of listing your home with a Real Estate Agent. Don't misunderstand us; we love Real Estate Agents. In fact, we even have many of them bringing us properties every day. However, there are many different limitations that a Realtor® is handicapped with. For instance, when a Realtor® lists a house for sale, they are still at the mercy of the chance that some willing and able home buyer will pass their way. They rarely ever have a client already lined up in advance to actually purchase your home. So, you guessed it; your home could sit idly for months on the real estate market until they actually find a retail buyer. And even then, who knows if that house buyer will ultimately be able to go through with the purchase. As we mention throughout our website, there are many reasons why a lot of home buyers are falling out of escrow nowadays. Whether it's because it's much harder now to qualify for a home loan, or whether they become too demanding about you having to fix too many repairs, or whether they get buyer's remorse, it's not uncommon to have to cycle through several house buyers before one of them ultimately closes escrow. And to make matters worse, the Real Estate Agents will still want to charge you a whopping 6 to 7 Percent in commission regardless of how long it actually takes to the sell the house. YIKES!!! Whereas if you contact us direct, you will get nearly instant results and can get your house FINALLY SOLD in just 10 days! Imagine being able to put your problem to rest immediately. And best yet, you avoid having to pay any of those high fees or real estate commissions. Unlike Real Estate Agents, we are NOT a middleman; rather we are the ACTUAL HOME BUYERS. YES! We sure can, but you'd better hurry. We need every extra bit of time to stop a foreclosure. Also, the longer you wait to sell your house, the less we may be able to pay for your home. Simply put, the longer you wait, the more the attorney's fees will dramatically increase. All we can suggest is that the sooner you can contact us to sell us your house, the better the result will be for you. That's a great question. And many people who get to this point of financial frustration would feel the exact same way. However, we just remind you that someday in the near future you will get your finances back in order and will eventually want to use credit again to buy another house. And one of the worst things that you can have on your credit record is a foreclosure sale. Whether you realize it or not, it is something that you want to avoid if it is humanly possible to do so. So, by selling your home to us, you can avoid the pitfall of ever having a disastrous foreclosure on your credit record. Well, how soon do you want to move out? It is usually that simple. Usually, we expect you to be completely moved out of the house by the actual closing date itself. However, if there is a reason that you need a longer time to move out, then let us know in advance so that we can make the appropriate arrangements. Remember, we can typically close your house's sale in just 10 days. 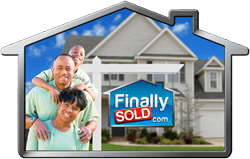 But, because of our tight connections with our closing agents around the country, we can even place your home on our Accelerated Fast Track ProgramTM and expedite the title work and close in as little as 3 days. So if you are in a hurry, you might want to start packing. Or, if you need some extra time, just let us know. Either way, we always let YOU pick the closing date. Whether it is in 3 days, or in 6 months, you get to decide when we close on the home. How much is the monthly rent amount?" How many months remain on the home's lease?" Is the tenant current? Or how many payments are they behind?" It's no wonder that once you experience the Speed, Security, Convenience, Professionalism, and Certainty of The Finally Sold Way™, you will NEVER want to sell your home any other way again!!! Getting your home sold fast has never been easier. Simply call us Toll-Free at (844) NOW-SOLD [(844) 669-7653], or merely fill out our short form on-line, and one of our professional home buying consultants will promptly contact you to schedule your FREE, no-obligation in-home consultation. One of our field consultants will meet with you to view your home at a time that is convenient for you. This professional and thorough evaluation process is painless, and it will only take about 15 minutes to complete. Now you can sell the house fast and still get a great price too. Our field consultant will sit down with you and go over our top dollar home buying formula in a simple and easy to understand manner so that you can easily see how we arrived at our generous offer price to buy your house. Also, with The Finally Sold Way™, you will NEVER be asked to make any repairs to your home, and there are NEVER any fees or commissions to sell your house to us. In fact, we will even pay for ALL of the real estate closing costs too! Your wait is over! Not only do you get your House FINALLY SOLD with ease, but you get your home's sales proceeds quickly too. And best yet, you won't have to deal with all the stress, headaches, anxiety, inconveniences, and delays of using the old-fashioned and sluggish way of listing it with a real estate agent. It’s no wonder that once you experience the speed, security, convenience, professionalism, and certainty of The Finally Sold Way™ that you will NEVER want to sell a house any other way again!